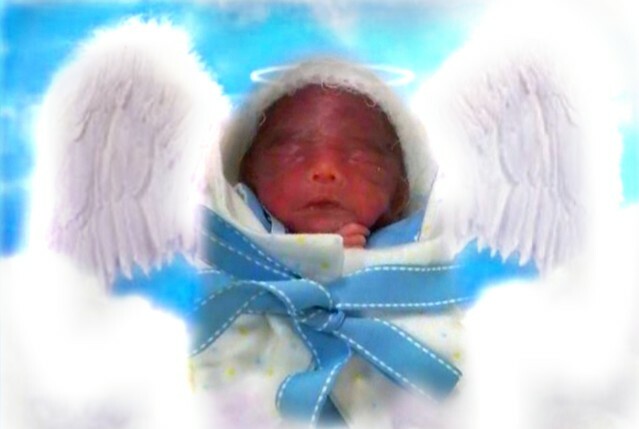 André Dean Good Soldier, infant son of Marlene Youpee and Kalijah Good Soldier Sr.
André Dean Good Soldier became an angel on Monday April 1st, 2019. His parents Marlene Youpee and Kilijah Good Soldier Sr. had him at the Billings Clinic. He weighed 1lb 4.7oz and was 11.5 inches long. André’s family was so blessed to have him in their arms. His time on Earth was but brief but he will forever be in our hearts. André is deeply loved by his mommy and daddy. He is survived by his parents; his siblings, Vincent, Joedaus, Kilijah Jr., Dale, Draylin, Anessa, Andale, Tierny, and Romulus; his great grandparents, Louise (Leonard) Youngman, Louie Youpee Jr., Doris Spotted Bird, Jewel Hanna, Curly Youpee; grandparents, Cheryl Sutherland, Connie (Brian) Jones, Sandy Sutherland of Rockyboy, Dean Sutherland of Rockyboy, Paul White Bear of Great Falls, Amber White Bear of Minot, ND, Thomas Sutherland of Spokane, WA, Lelanda (Bear) Roberts, Gina Spotted Bird, Myron Spotted Bird, Larissa Spotted Bird, Candace Spotted Bird, Charlene Drum, Verdis GreyBull, Lana FourStar, Dyan Youpee, Dylan (Misty) Youpee, and many more too numerous to mention; uncles and aunties Terrell (Heather) Sutherland, Seneca of Rockyboy, Cale (Klarissa) Martell, Brandon Martell, Britney (Joseph), Richard (Mariah), Edmund (Minnie), Zachary (Racine), Jewell, Tasheena of Rockyboy, Jesse and Tommy Falcon, Chelsea, Travis, Chucky, Chaz (Jessica) Pribbeneau; cousins, Janaeya, Tyson, Chanel, Oakley, Josiah, Cale Jr., Falicia, Logan, Benjamin, Tennielle, Timothy, Jacob, Otter, and many more too numerous to mention. Preceded in death by maternal grandfather Bernard Noel Youpee, Charles “Rocky” Youpee, Merlin Youpee; paternal grandparents, Pierre Youpee Sr., Chorolette Good Soldier; great grandparents, Melvene White Bear, and Richard Sutherland and many more too numerous to mention. A prayer service will be held at 7:00 p.m. on Tuesday, April 9, 2019 at the Assembly of God. The funeral will be held at 1:00 p.m. on Wednesday, April 10, 2019 at Assembly of God church in Poplar. Interment will follow at Fort Kipp Cemetery. Clayton Stevenson Memorial Chapel has been entrusted with the arrangements and condolences can be left for the family by using the form below. Such a precious,little baby,got my prayers all the way from Kansas city. Awwwww. I didn’t know my girl that it happened already. I love you and your Babyboy. You will see his beautiful face once again. I wil pray for comfort for you and the family. Praying for you. Hugs.